Ground cherry, gooseberry, husk tomato. They are all varietals on the same wonderful theme. If you live in England, gooseberries are the varietal you’re likely familiar with, and there they are most often baked into sweet confections. 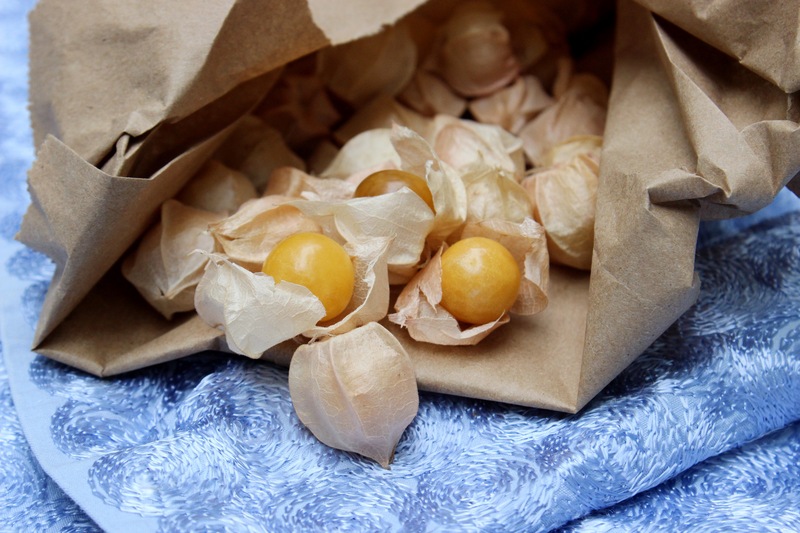 Here in the United States, ground cherries can be found in farmers’ markets or CSAs. Their taste might be described as the delicate offspring of the tomato and the pineapple, part sweetly juicy and part tart and tangy. Here I put their unusual flavor to good use as the sweet high note in a pearl cous cous side dish. Sure I could have chosen to use tomatoes or raisins instead, but ground cherries just seemed like more fun. This side works nicely with a simple piece of grilled chicken or paired with a green salad for a light yet satisfying lunch. 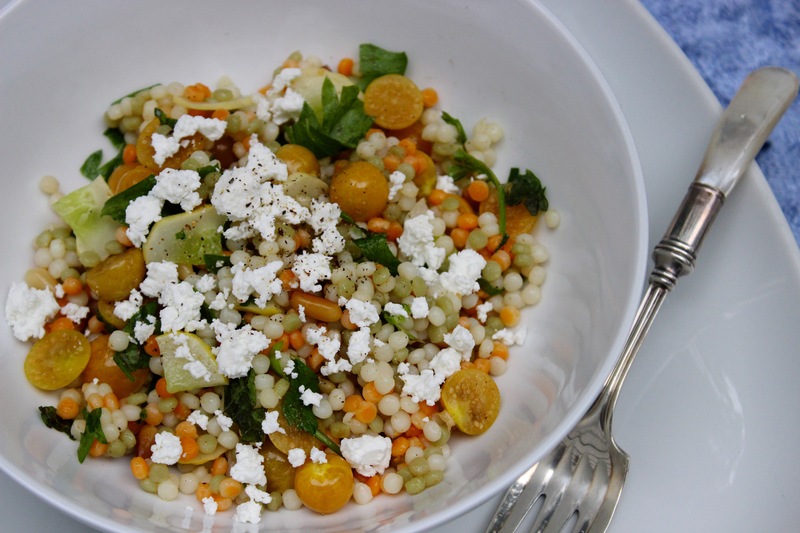 To assemble the salad: In a medium bowl, combine the cous cous, ground cherries, cucumber, scallion, pine nuts, mint, and parsley. In a screw-top jar, combine the lemon juice, oil, and cumin and shake well to combine. Pour the dressing over the salad and toss to coat. Season to taste with salt and pepper. Serve topped with feta cheese. This entry was posted in salad, side and tagged cape gooseberry, cous cous, couscous, ground cherry, husk tomato, Israeli cous cous, pearl cous cous. Bookmark the permalink. It’s my absolute pleasure, Cecilia!